Thank you for your interest in making a gift of stock to a fund at Community Foundation of Greene County. For complete information about making a gift of securities, contact Bettie Stammerjohn, Executive Director at the Community Foundation by email at cfgcpa@gmail.com or by phone at 724-627-2010. Follow the instructions below to make a gift of stock to a fund at Community Foundation of Greene County. Important: Please notify the Community Foundation when you plan to make a gift of stock through a brokerage account, to ensure that the proceeds are placed in fund of your choice.  To make a gift of stock for which you hold certificates, forward the items listed below to Community Foundation of Greene County, 108 East High Street, Waynesburg, PA 15370. A Note on Mailing: Do not mail the Stock Certificate and the Irrevocable Stock or Bond Power Certificate in the same envelope. When the two items are combined they allow the stock certificate to become negotiable. Mail to the Community Foundation under separate cover. Mail the unsigned stock certificate(s) to the Community Foundation separately from the Irrevocable Stock or Bond Power Certificate. Caution: Do not sign the back of the stock certificate(s). Doing so makes the stock certificate(s) negotiable. A Gift Letter tells Community Foundation of Greene County what you are giving and which Community Foundation fund to place the proceeds in. An Irrevocable Stock or Bond Power Certificate. The Irrevocable Stock or Bond Power Certificate is used in place of endorsing the back of the stock certificate. Do not complete any parts other than the signature section. A transfer agent will complete the remaining sections. As with all financial instruments, signatures on the Irrevocable Stock or Bond Power Certificate must be “signature guaranteed.” To complete the signature guarantee, have each person named on the stock certificate sign the Irrevocable Stock or Bond Power Certificate in the presence of a bank officer. Most local banks will have someone at the branch who can “signature guarantee” this form for you. To determine the method, or mix of methods, that make the most sense for structuring a gift through Community Foundation of Greene County, the information on these pages should be reviewed with a competent financial, tax or estate planner.